Recording of the live interactive broadcast with Joanne Hawkins. 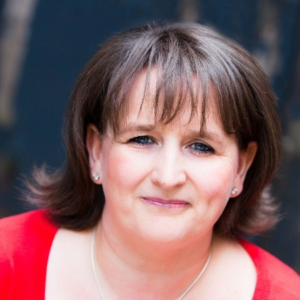 You need to talk to Joanne, she is a self professed ’Straight Talking Northern Woman’, a passionate advocate for Entrepreneurs and Business Owners who just want to get on and do it. A logical approach with creative flair, always ready to brainstorm, challenge and get totally engrossed in businesses she works with sums her up perfectly. Joanne is an expert in translating business aspirations into concrete, deliverable plans. A formidable networker, Joanne knows that building quality teams is key to ensuring the right work gets done by the right people. A strong believer in building quality relationships with the businesses she works with, setting strong foundations and creating unique networks, whilst pushing herself outside of her comfort zone is why Joanne believes the business has gone from strength to strength. Joanne is an avid Rugby League fan, totally obsessed with her 2 x whys and wants to travel the world ! This On Demand video is interactive so please leave a question for Joanne by using the Question and Answer facility next to the video player.